This is an adults only property for people 18+ years old. All canceled reservations received 30 or more days prior to arrival are subject to a 50% cancellation penalty. Lucky Dreamer Casitas does not provide refunds or credits for specific reasons/events such as; illness cancellations, weather delays, missed flights, early departures, etc. For this reason, it is highly recommended to purchase travel cancellation insurance. GPS LAT: 17.30169, LONG: -89.059085. Guests can choose to take public bus transportation. This involves a taxi from the airport to the bus terminal, then a bus to San Ignacio. Lucky Dreamer Casitas can arrange for guest pick up from San Ignacio, or guests can take another bus or shuttle service to Cristo Rey Village. For guests that rent a car, specific driving instructions can be provided. Lucky Dreamer Casitas is located in the heart of Cristo Rey Village between San Ignacio and the Mountain Pine Ridge area of the Cayo District. Cristo Rey was initially settled by the Mayans and much of their cultural influence still exists. In fact, there is a genuine Mayan Mound on the property and if you look closely, you may find Mayan pottery on the grounds. Cristo Rey is comprised of a village of casitas, and is conveniently located in the foothills of the jungle on the Macal River. There are quite a few amenities available within walking distance, including local cuisine, food shops, gift shop, and bus/shuttle service. From your casita you will hear plenty of jungle noises, including those coming from howler monkeys, chakalakas (type of bird), parrots, parakeets, toucans and a number of other local inhabitants. Lime Tree Casita is furnished with a custom built Mahogany Queen bed. The casita has a private bath with hot water, electricity, ceiling fans and free unlimited Wi-Fi. 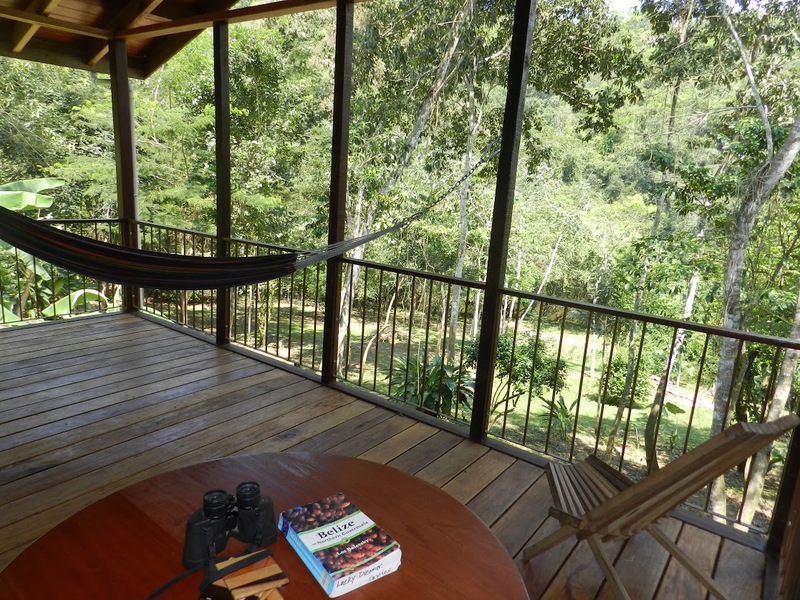 A large covered private deck offers a view of the jungle and river which provides a relaxing area after a day of tours & adventures! There is also a private courtyard with a lovely garden view. You are greeted by a lime tree at the courtyard entrance. The limes ripen year round, so help yourself to freshly squeezed, refreshing lime juice! U.S. Cash, sunglasses, bug spray, sunscreen, hat, bathing suit, shorts and short sleeve clothes. Flip-flops are the usual footwear. If you are going on tours, it is advised to bring comfortable and sturdy shoes. Also, if you choose the ATM Cave tour, you will need socks.